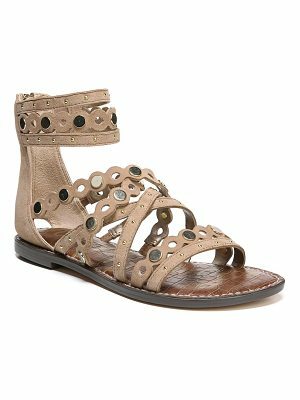 Stuart Weitzman suede city sandal. 2.5" covered block heel. Thin strap bands open toe. 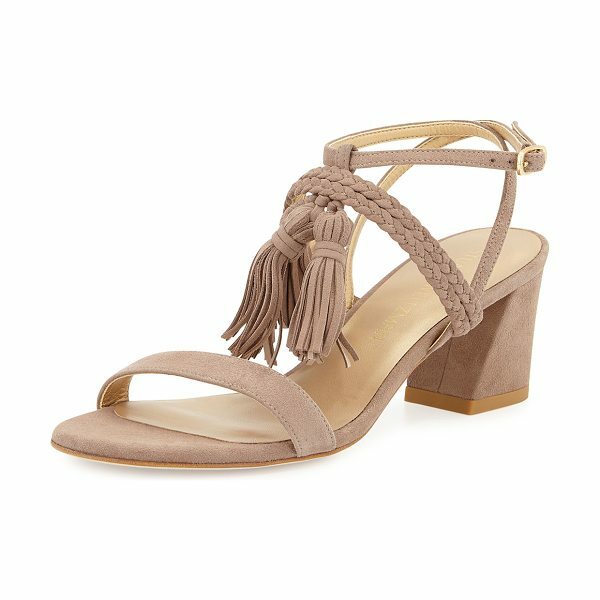 Braided strap across instep with tassels. Adjustable ankle strap. Padded footbed. Leather outsole. "Tasselmania" is made in Spain.